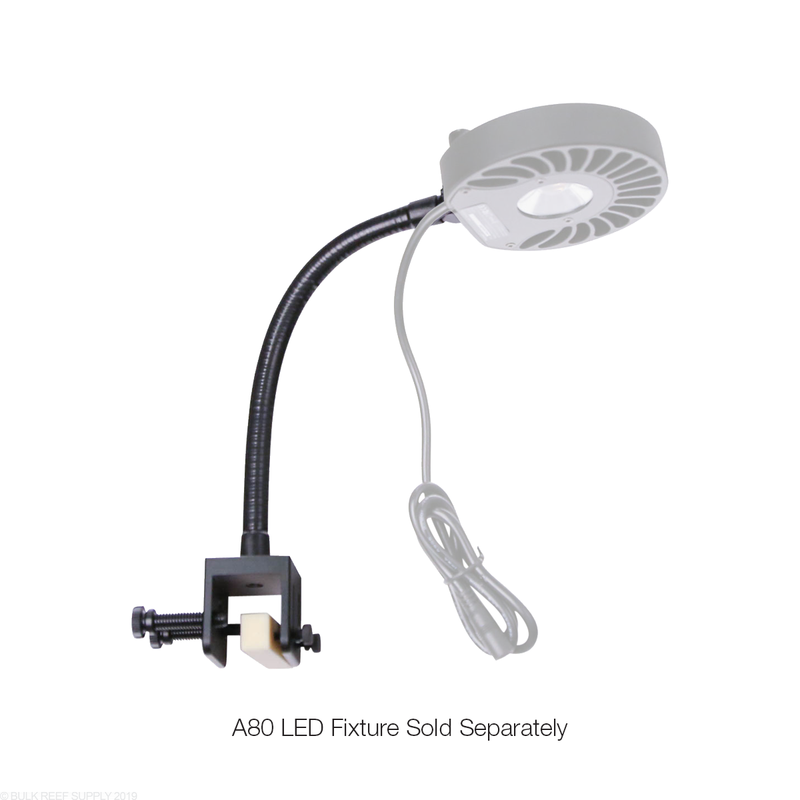 The perfect flexible mounting option for Kessil A80 & H80 LED lights. 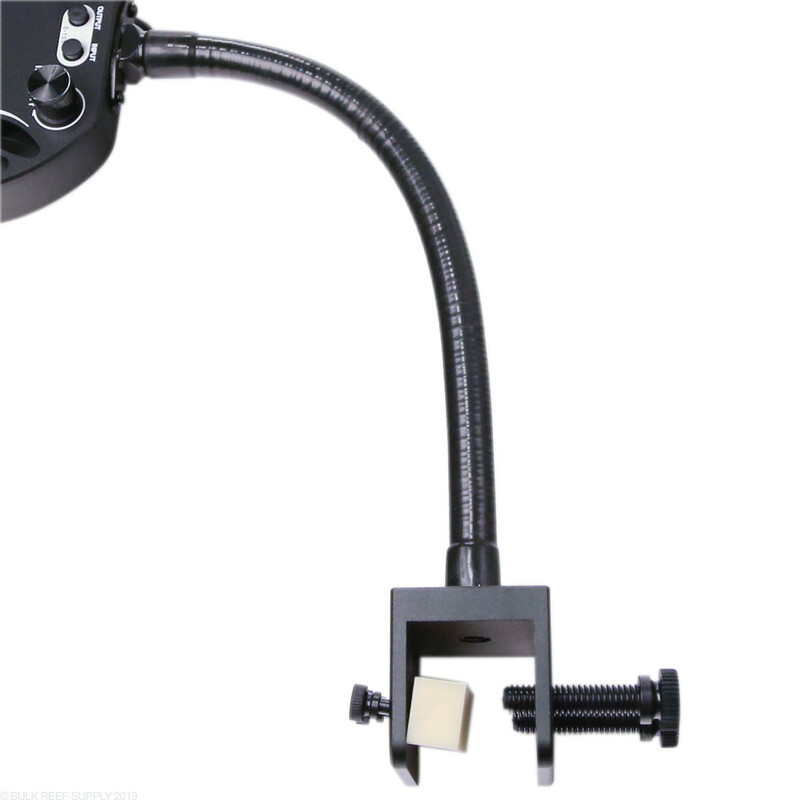 The Mini A-Series gooseneck mount makes mounting your Kessil A-Series light quick and easy. Having a flexible neck lets you perfectly position the light over the tank while having a stylish modern look for aquariums without a canopy. I like how heavy and sturdy this goose neck feels but, for the smaller tanks it's designed for it is too stiff or too long to get the light close enough to the water, to prevent a bunch of light to spill out of the tank. Also the lack of anyway to cable manage other then zip ties left a lot to be desired. Quality product. I am using it with a Kessil A80 on a 40 Breeder. Just the correct height and placement. Can be stiff, especially if you're trying to get a 90 degree bend, but it held it's position well. No issues with either side of the mount (to the light and to the tank). 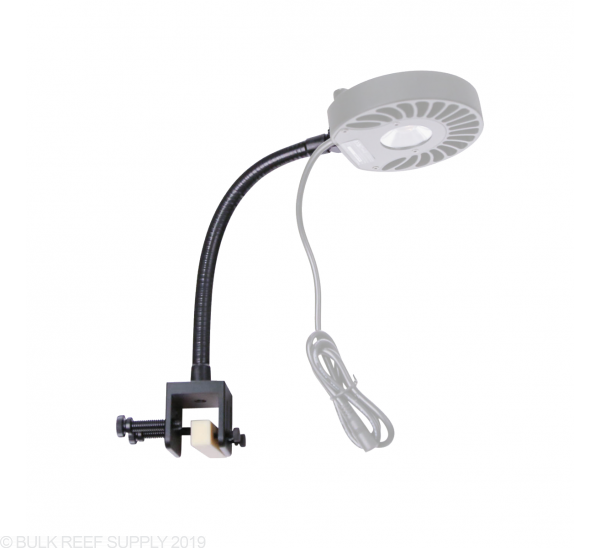 An essential for open top aquarium mounting. No modifications necessary to tank, and allows easy bend to your desired height and angle adjustments. Will this gooseneck also fit the H80? If not, which one will? So long as the curve of the rim is fairly gradual, it's likely possible to mount and tighten the plastic thumbscrews to the rim, but this mount really is meant more for relatively straight edged rims. 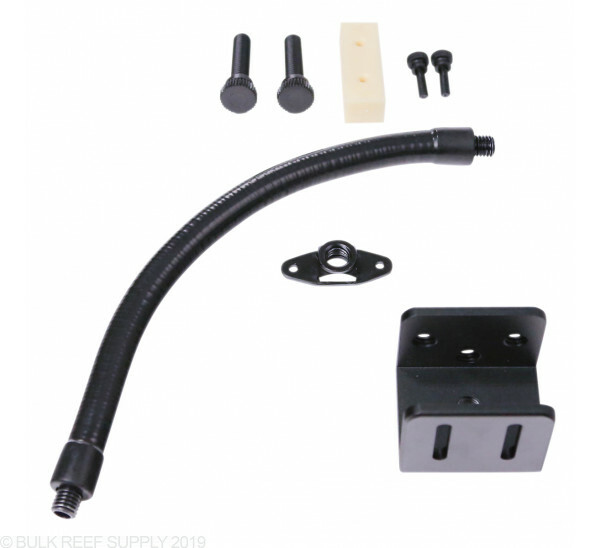 Will this gooseneck fit a Kessil A150W Ocean Sky lights? The back of the lights have only 2 screws and a power cord coming out. Thank you for reaching out to Bulk Reef Supply! It looks like this unit is only Compatible with - A80, A150, A160, A350, A360 (may require 90-degree adapter). It looks like you would need a a150 mounting bracket to make this work. I will attach a great resource that shows the Kessil compatibility and instructions for the goosenecks. 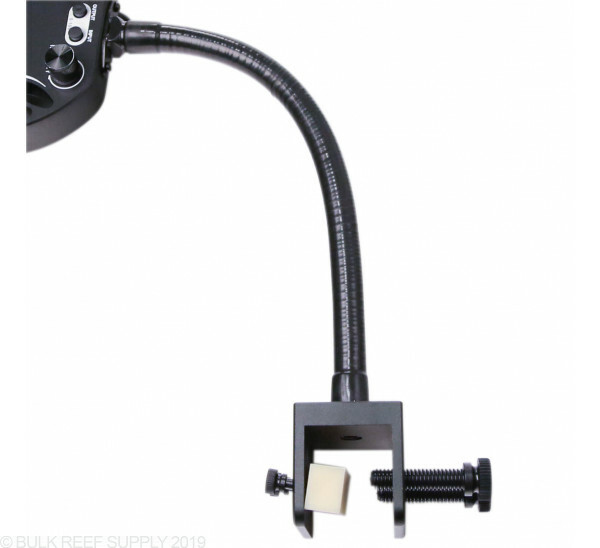 I would also recommend checking out the longer gooseneck as it seems to be a more popular choice with these lights. I hope this was helpful. Please reach back out if you have any further questions!